The Internet can be a window to amazing places and, sometimes, amazing music. Although I have never had the pleasure of visiting Greenland, I had heard of the music that originated from a unique blend of native Inuit and Danish culture. Looking for an escape to take my mind off of the daily news and events, I decided to transport myself to Greenland, at least in the virtual sense. Four fifths of Greenland is covered by an ice sheet. Though technically part of the kingdom of Denmark, it is primarily self-governing. The official languages are Greenlandic (also known as Kalaallisut, an Inuit language) and Danish. Greenland also has a thriving musical community so for this month’s column, I will share with you just some of the wonderful music I enjoyed on my virtual exploration. The first stop on my journey was with Nive Nielsen and the Deer Children. 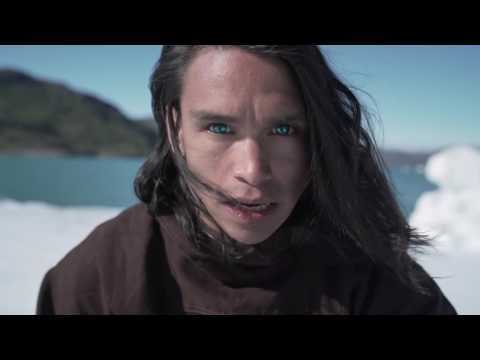 I could listen to their song Tulugaq for days. Accompanied by a video featuring the land as well as the music, it is a softly compelling and hypnotic example of the contemporary sound of this unique country. Nanook is a Greenlandic band whose name, and that of this song, means “the greatest of all polar bears”, and is derived from the name of a polar bear God in Inuit mythology. The powerful video, and the song itself, expresses deep concern for the future of the polar bear in light of climate change. The link to the video also provides more information as well as an English translation of the lyrics. Almost 90% of the residents of Greenland are of Inuit descent and many strive to keep the ancient traditions, such as the drum dance, alive. The drum dance is performed sometimes as a “song duel” and traditionally used to settle feuds and disputes. 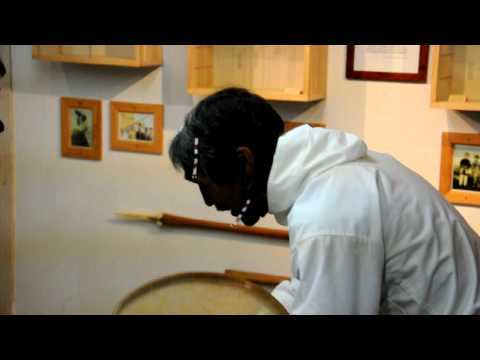 Most courtrooms in Greenland have a traditional drum hanging as a symbol of settling disputes. The drum itself, called a Qilaat, is much thinner than the Irish Bodhran, has a handle and is played by striking the edge with a wooden drumstick. These are just some examples of the music of Greenland, much of which arose out of resistance to Danish imperialism and a desire to preserve the unique culture of the island. Contemporary music has also been influenced by that of other countries, and it is now easy to find Greenlandic rock and rap as well. For a more complete history of Greenland’s musical culture, there is a fascinating, and very readable, doctoral dissertation by Dr. Andreas Otte, currently an assistant professor at the University Greenland. Not only does he have a PhD in music from the University of Copenhagen, but he also was the bass player for Nanook and owner of GAGA-Productions, a Greenlandic recording studio and publishing company. Interestingly, he also studied music and dance at UC Riverside in 2006 and 2007. I do hope to visit this extraordinarily interesting country someday. But, for now, I am grateful for the Internet and its ability to take us around the world and broaden our horizons. Enjoy!